This gift card can only be used online. lastminute.com is the iconic travel and lifestyle brand of the lastminute.com group, inspiring people to make the most out of every minute. 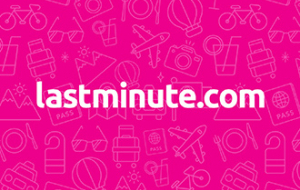 lastminute.com group operates a number of key brands, including lastminute.com and the successful brands Bravofly, Rumbo, Volagratis and Jetcost. This unique portfolio makes the lastminute.com group a strong leader in the European online travel and leisure sector. Complete the remaining details and click “Confirm” to validate your booking. This card expires in 12 months.